The nonmetallic pack hydraulic press is used for cotton and kapok, gauze, fabric, fiber, wool and different types of leather products. It has singular package block dimensions to wrap in a unified way with high density fitting container or warehouse specifications. 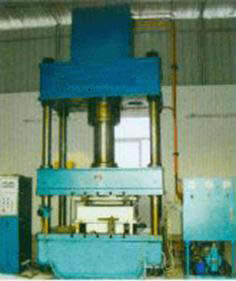 The nonmetallic pack hydraulic press uses sets of special type cylinders and it doesn't need underground foundation. The cylinder seal is reliable and doesn't slip.